We have been designated as a Public Benefit Organisation (‘ANBI’). This means that your donation is possibly tax-deductible in the Netherlands. 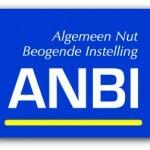 You can wire your one-off gift to account number NL72INGB0004541234, BIC INGBNL2A attn. Hijman Degen Stichting, Amersfoort, the Netherlands, mentioning ‘gift’. You can become a friend of the Hijman Degen Foundation by donating a minimum amount of € 50 annually. You will then receive our digital newsletter. We also organise activities, such as lectures and workshops, for friends of the Foundation. Yes, I authorise the Hijman Degen Foundation to debit the following amount from my account. Yes, I would like to receive the Human Degen Foundation newsletter at my e-mail address.